It was a solid weekend at Industry City. 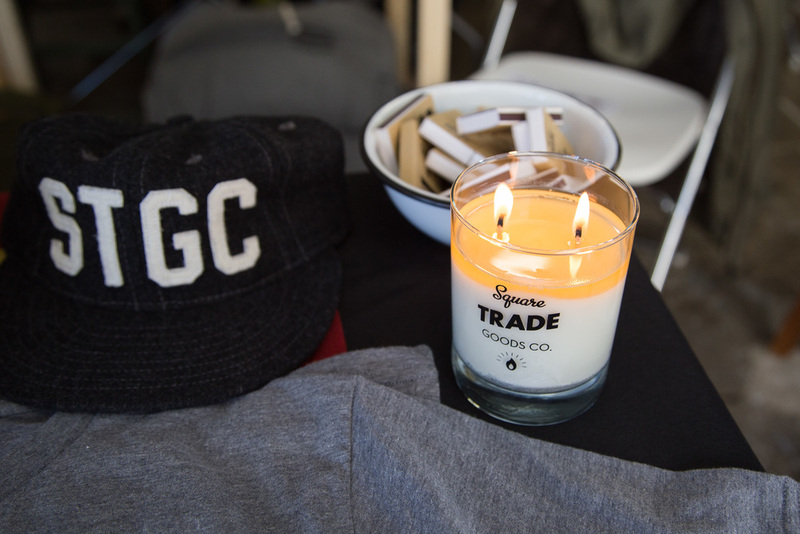 American Field set up for their first ever New York pop-up market, which featured all American-made brands and products, and it was an awesome time. As a media sponsor, The Hand & Eye also got to set up a small booth. It was the first time I’ve taken the blog into the physical world and be able to talk to so many people about the site, and also meet so many vendors totally committed to offering quality American-made products. I can’t thank everyone one enough for coming down and checking it out. The Ball and Buck tent. Among some of my favorite products that I hadn’t encountered before, were the knives from R. Murphy Knives, candles from Square Trade Goods Company, the ETWAS tool bags from Gramercy Tools and the impressively-engineered pens from Schon DSGN. And that’s really just a sliver of all the amazing stuff there. The guys of Brothers Artisan Oil. Boston represent. I ended up walking away with a trench from Stock MFG as well as a denim shirt from the good people at Centennial Trading Company. Both solid additions to my wardrobe. Big thanks to the team at American Field and Ball and Buck who really were on point all weekend and, of course, to Narragansett Beer who kept us well quenched as well. Mike Stone makes it work. R. Murphy Knives since 1850. ETWAS tool bags from Gramercy Tools. Ball and Buck's Mark Bollman.